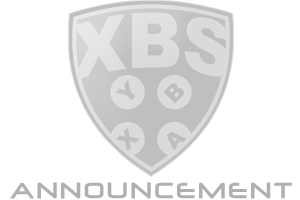 It's that time of the year, when we once again introduce our owners for the upcoming Season 21 here at XBS. It goes without saying, but if these 4 didn't offer their services and volunteer their time we would not be having a season. So while you congratulate them please also take the time to thank them as well. The group of owners this year is all about experience and considering we are switching to a snake draft format this season, that should make things even more competitive. After a brief hiatus Nutty Grandpa has returned to the ranks of ownership. He was last at the helm of a team in Season 18 when he guided the Nashville Predators. And while his team did miss out on the playoffs that season, no doubt he learned a lot and is ready to take another run at an XBSHL Championship. He has a wealth of experience as an owner in LG and while that hasn't translated to overwhelming success at XBS quite yet, maybe this is the season when his fortunes change. One of the most dedicated owners at XBS returns once again to take a crack at the ever elusive championship. After assembling quite a roster last season, Banks and his crew just couldn't get over the hump come playoff time, losing in the first round. Hoping maybe a change of scenery can alter his fortunes, he has decided to take the helm of the New York Islanders in Season 21. Maybe this is the year my home town Isles finally win a Championship? Banks will certainly try to make it happen. After winning an XBS title back in Season 17 and again this past season, it seems to have left DC thirsting for another championship. As the owner of the Calgary Flames in Season 21, Desired will certainly be the man to beat, as he has proven time again through solid drafting and shrewd trading, that he has what it takes to guide his team to the promised land. The other three owners better do their homework for the draft or else DC may be adding a fourth cup to his already impressive resume. Walt was last at the helm of a franchise with the Philadelphia Flyers in Season 19 and returns in Season 21 to guide the Vegas Golden Knights. As an owner in Season 15 with Dallas, Walt claimed a championship of his own and as a player his resume includes 4 XBSHL titles. Considering that one of Walt's championships, was during a snake formatted draft, he certainly knows what it takes to draft a championship winning roster. If that trend continues here in Season 21, Vegas just might be having that celebration parade real soon. Congratulations and Thank you to all of the selections. We are looking forward to a fun and competitive season. Last edited by DustyRytStyk; Mar. 28th, '18 at 10:40 pm. Awesome choices! Looking forward to the draft and season. Nice! Thanks guys for stepping up. Way to go guys. Whoever drafts me this season, I didn't mean all those nasty things I said about you last season. Great choices. Lets roll ! Congats guys, great owner list there! Congrats to all the owners. Looks like we’ll have another solid season with this group.